The market police station has booked as many as 25 persons, which also includes women under sections 143, 147 and 153 (A) sub-section 149 of the IPC in connection with the alleged chanting of religious slogans on the court premises here on December 19. The group shouted slogans when the 23 youths were sent to police custody in connection to the Khadak Galli stone pelting and communal violence incident. 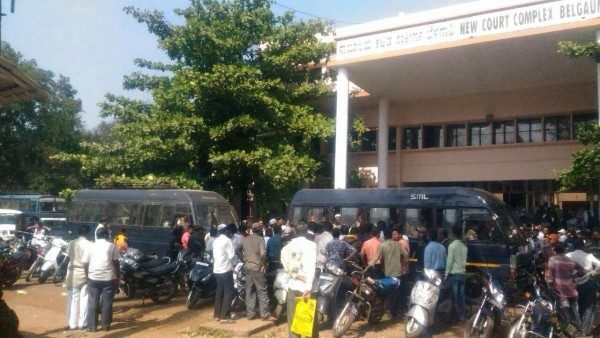 Belagavi Bar Association had complained to the principal district and sessions judge R J Satish Singh, claiming that the incident was an insult to the court. The district judge instructed city police to take action. Obey law of the land. . Nothing is more bigger….